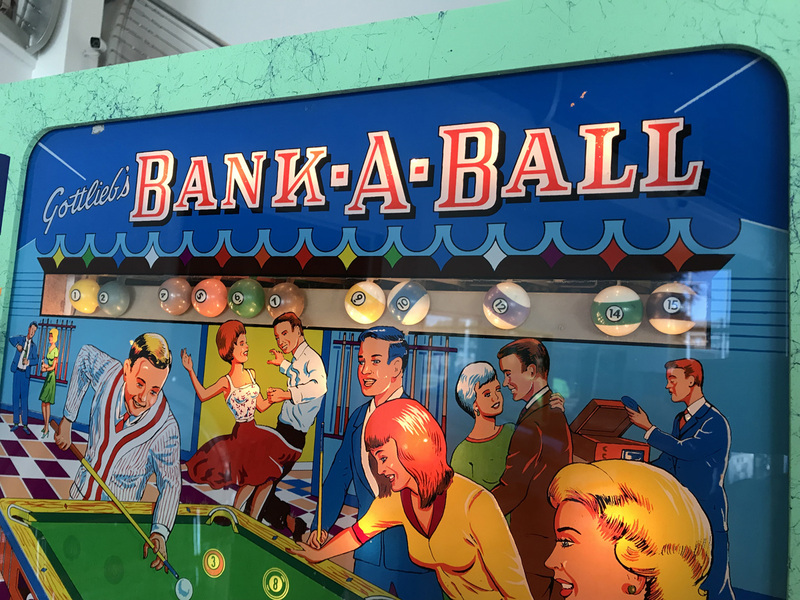 Bank-A-Ball Pinball Machine * | Fun! 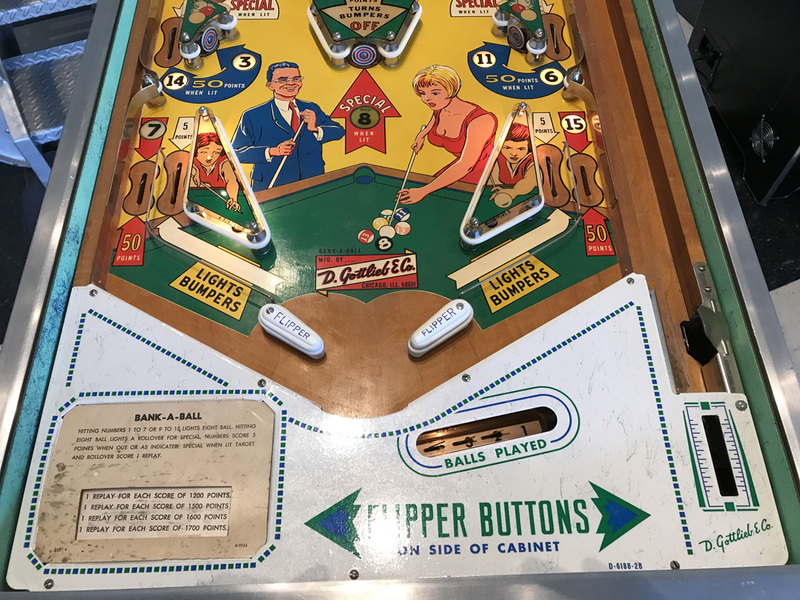 One of the all time greatest pinball’s of the 1960’s. 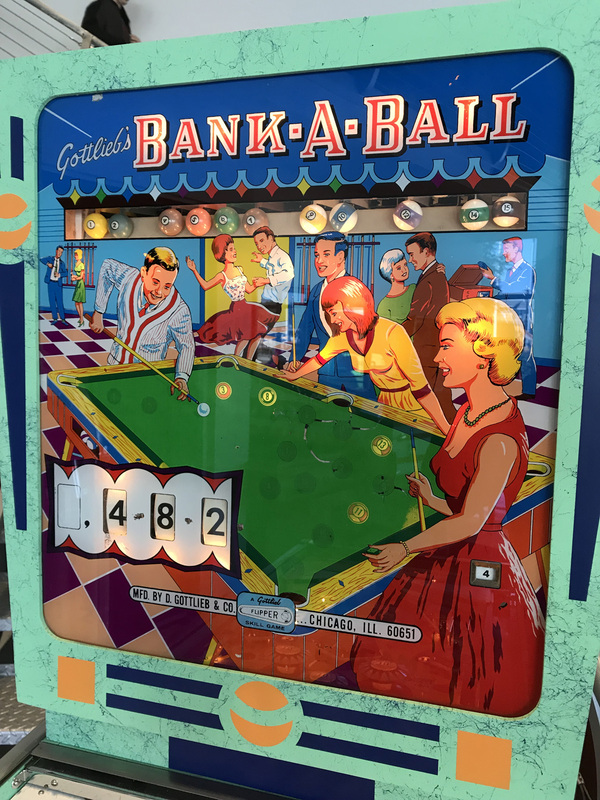 Bank-A-Ball is a classic “wedgehead” single player pinball machines by the pioneer’s in electro-mechanical pinball, Gottlieb. 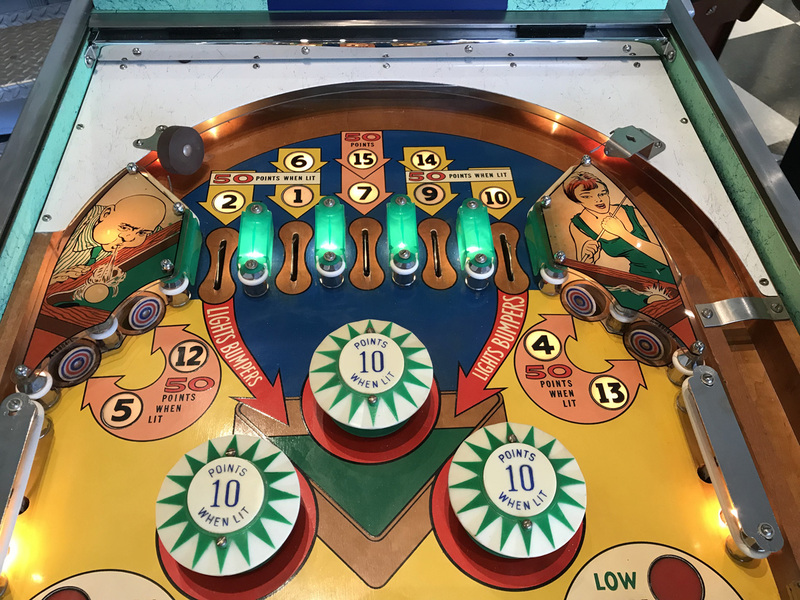 Gottlieb did a series of single player “wedgehead” pinball machines from 1961 to 1979 and the “wedgeheads” are considered by collectors to be some of the best playing electro-mechanical pinball machines of all time. 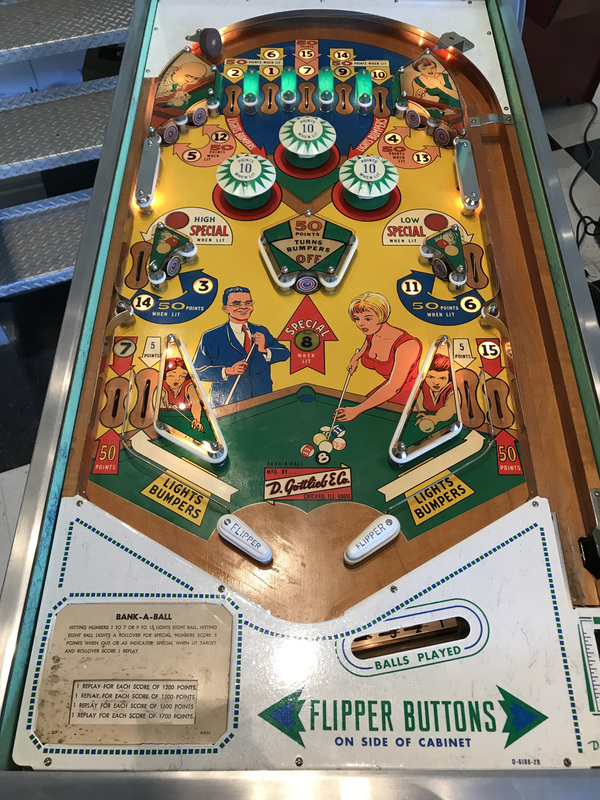 The theme is billiards and the play is pure classic pinball. This electro-mechanical pin features 2 flippers, 3 pop bumpers,and 7 stand up targets. Two backbox animations. At start of game all pool balls illuminate on the pool table in the backglass and all mechanical balls reset out of view. 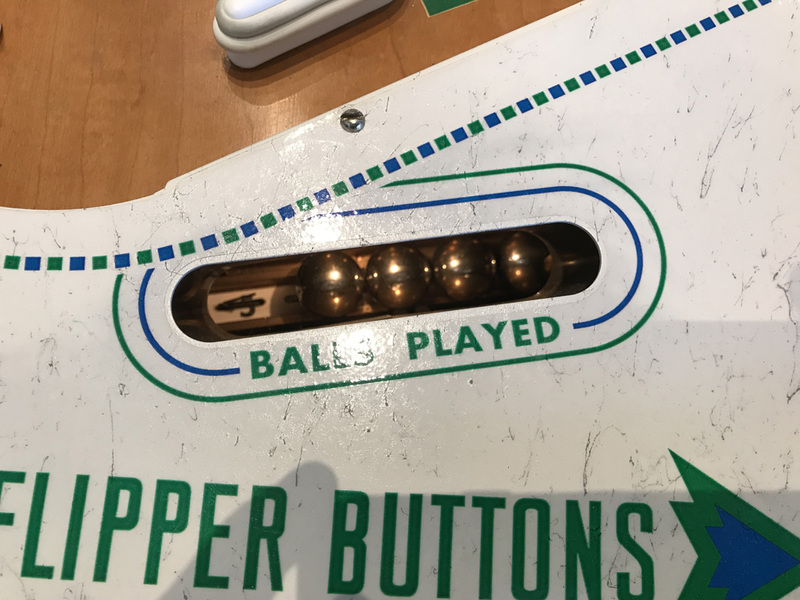 As player hits the lit pool ball targets on the playfield the corresponding ball lights on the backglass turn off and the mechanical ball comes into view in the backbox. Knocking all Solids or Stripes Targets lites the 8 Ball Target shot for the ability to win replays (ie: free games). Additional free games can be achieved by making either of the side lane shots. 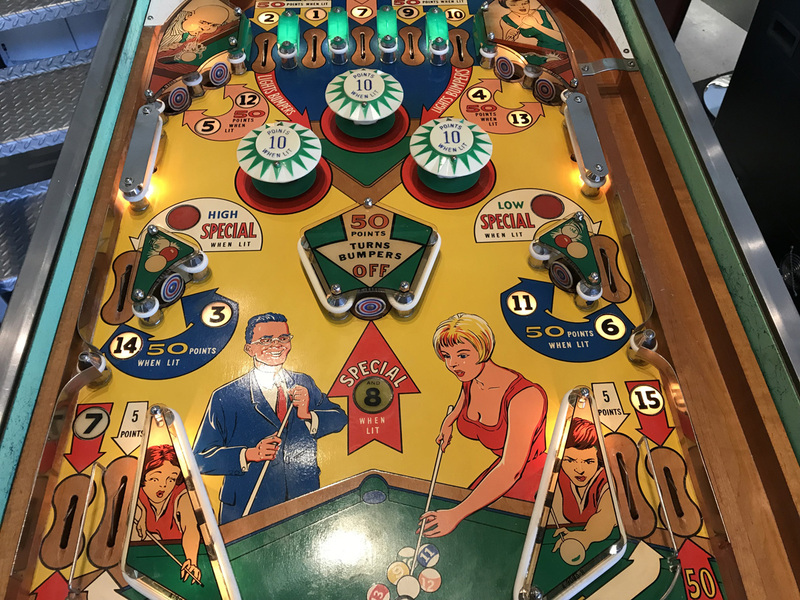 Terrific backbox animation on this great classic pinball machine. This game is in outstanding condition. The cabinet has been professionally repainted back to factory original paint scheme with correct webbing. 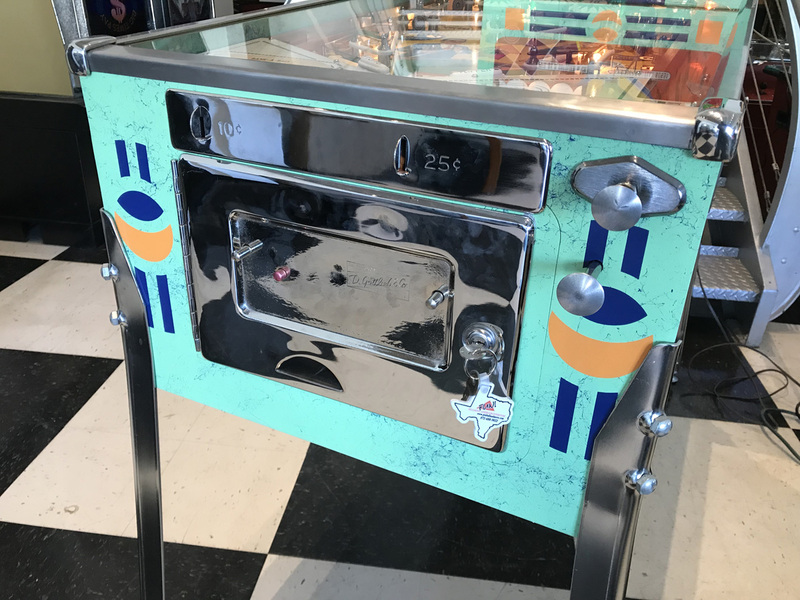 All playfield & cabinet metal has been re-chrome plated and stainless steel buffed and polished to a high shine. 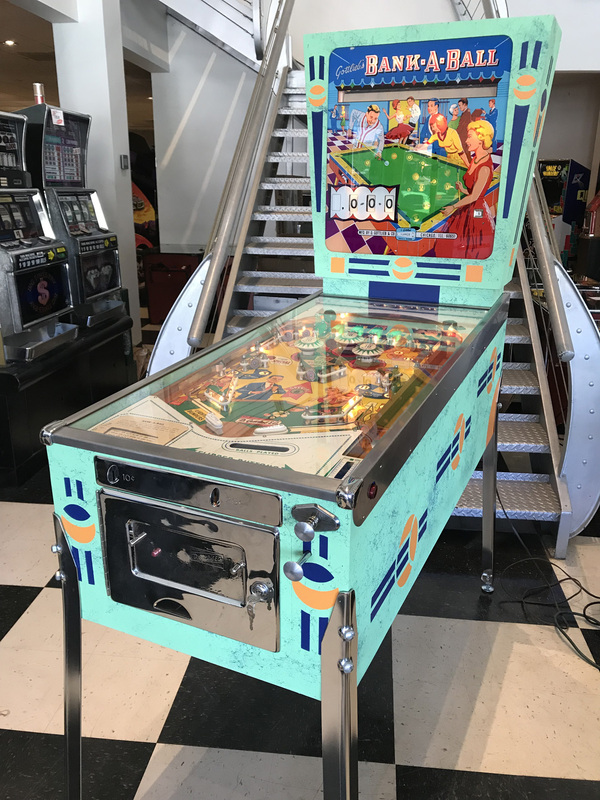 Playfield was torn down and thoroughly shopped out meaning that the playing surface was stripped of all components on the top side. 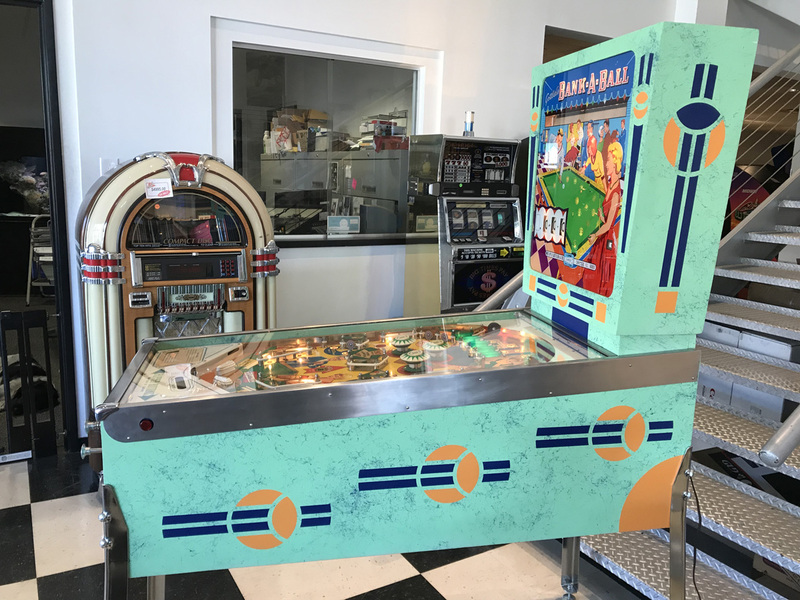 The playfield was then cleaned and polished and all new rubber rings and balls were installed. Original backglass has a few blemishes with some light flaking but still presents very well. 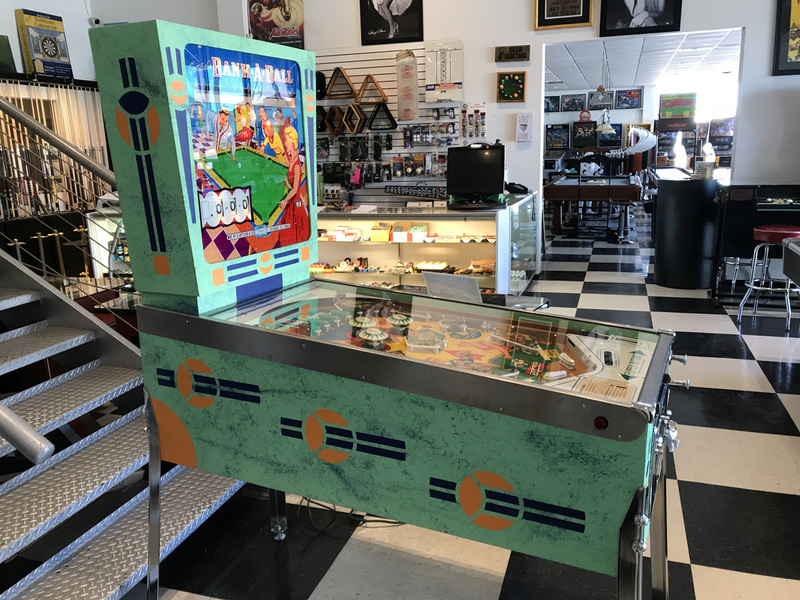 This game plays great and needs absolutely nothing besides a nice corner in your home gameroom and to be the center piece of conversation. PLEASE NOTE: Due to the age and nature of Electro-Mechanical Games, no warranty is offered with this game.